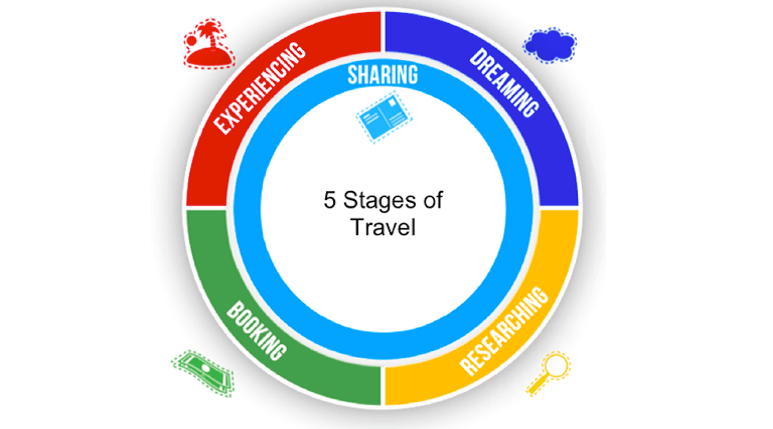 Google, some years ago, created the "Five Stages of Travel" (pictured right), which nicely illustrates the stages a customers goes through from the very first potential interaction to the actual stay (and beyond). Each of these stages – dreaming, researching, booking, and experiencing – can be covered by the fifth stage, sharing, which is where social media comes in. We've found, as have many others, that keeping these stages in mind are helpful when planning social media marketing strategies. Got it? Good! Now on to content. What kind of content can you post to your social media accounts? What is best for what platform? Well, there's a lot of advice out there, but the content types below have been found to generally work well. For instance, we've found that photos perform better on Facebook than text, a fact that is also supported by many experts' advice. But the best way to find out what works best for you is just to try it! Photos – Visuals are key. It's common knowledge that people react more immediately to images, so it helps to use them often on social. Well-shot food pics, for instance, are a great way to promote your hotel. Questions – Not only do people enjoy offering their own opinions, but asking customers questions can be a valuable way to understand more about your customers and increase interaction with them. Videos – Short videos with music or narration can be more popular than articles or written content. (Remember when uploading to Facebook to upload directly rather than embedding.) GIFs are another way to get fun moving images in where a photo would normally be. Events – Document an event before, during, and after it takes place. This raises brand awareness and gives customers a look at your brand or culture. Promoting others – Always take the chance, when strategically relevant, to promote other brands or services you like. It's good karma and has many benefits, especially if you're a smaller or newer hotel group. Tell a story – Each post should tell some sort of story... Otherwise, it's just boring and people are liable to skip over it. Behind the scenes – Make sure to share content showing your staff having fun, either at work or at work-related extracurricular events. Behind the scenes updates give customers a positive impression of your company culture and remind them your team is made up of fun-loving, real, live human beings! 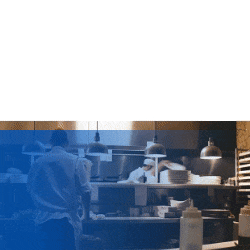 Celebrate the wins – Keep the pages updated with your business success (e.g. awards) whether it’s for the rooms, food, management. 80/20 Rule – 80% of your posts should give your visitors something value – educational, entertaining, just not sales – and 20% can be sales oriented. If your hotel website is like a virtual sales department, then your Facebook page is like your PR department (though sales-like features are entering the fray thanks to the "Book Now" button). Facebook works best as an indirect marketing tool for building and maintaining relationships with your customers. Customize your page – Customize your page in a way that represents your hotel’s ambiance and brand; the type of customer experience that you promise. Pictures – Share appealing pictures of the staff, property, individual rooms, etc. People understand images faster than words and prioritize visual information. Beautiful imagery and rich, concise content are key in marketing today. Tagging photos – Tagging photos spreads the word and encourages customers to get involved in the postings (they'll eventually do the sharing, or marketing, for you). Interactivity – All in all, you want to make your page interactive with interesting posts and conent that your customers will find irresistable. Have you seen our "Types of Hotel Data" chart? 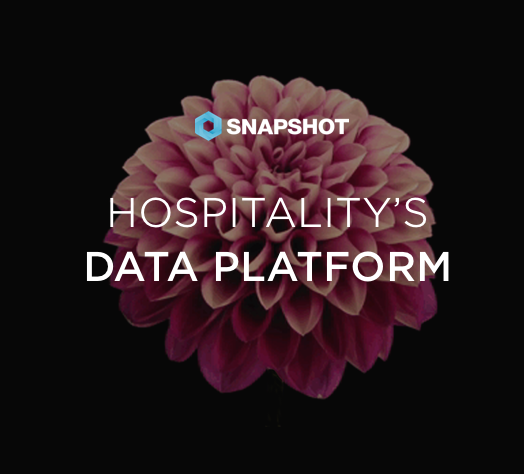 Click here to get a better idea of how to understand your hotel data in the digital age. 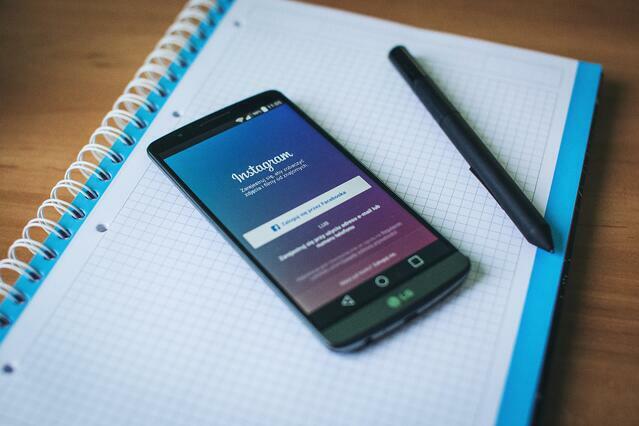 While Instagram may seem like a platform for celebrities and what ever generation it is that comes after millenials, it's actually a valuable visually-oriented marketing tool. And since images leave some of the biggest impressions when potential customers are researching your hotel, Instagram is a natural tool for building your hotel's brand. What to share – Since Instagram is made for sharing pictures, make sure your pictures are good ones! Grab attention, show off amazing experiences, share holiday memories, travelling spots, and day-in-the-life pics at your hotel. Sharing influence – Many Instagram users use the share feature or tag their friends in comments. If you post great pictures, your fans will spread the word for you! Hashtags – Create your own hashtags and be consistent. It's a great way to increase your visibility and give your fans or other users a chance to tag you. Just don't overload on hashtags, try to keep it at one or two (any more is just bad manners and spammy). Tracking – It's easy to track your hotel's mentions, tags, geotags, comments, etc within Instagram, making it a useful tool for understanding your social presence. Twitter is also sometimes considered a niche product – one for pundits, and industry insiders – but its one of the best ways to connect with customers. Use it to share promotions for your followers, provide customer support, and build your brand. Images – Even though Twitter is still primarily text-based, images perform better than most text posts so try to include images when posting, especially when it comes to sharing blog posts or articles. Interaction – The best way to develop your Twitter presence is to interact with fans and other Twitter accounts. Retweet a fan's tweet about their positive experience! Even better, "Quote" the tweet to offer a "Thanks!" accompanying the retweet. Hashtags – An original creation of Twitter, Hashtags are a useful tool to grow your exposure and start your own mini-meme if you're lucky. But most importantly, don't overuse them! (See Instagram hashtags note above). Did we mention customer support? – It bears repeaing, Twitter is a great method of helping our your guests. Rememeber it's public, so make sure to be helpful, friend, and keep it on the casual side so people remember you're a human on the other end of the screen! The newest on the scene, relative to the previously mentioned channels, Snapchat can be a little harder to crack, as it's design makes it less intuitive, but once you get it the platform can really shine. It's arguably the most casual social media channel of those listed here, and is an opportunity for you to put your hotel's unique character on display. It's not right for every hotel or market, but do a little research and figure out if it fits your marketing goals and target demographic. 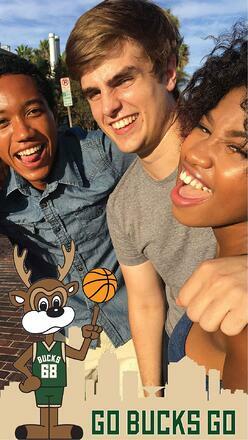 Hook 'em fast – Use Snapchat to hook your followers' curiosity. Due to the 10-second limitation in Snapchat videos, it works well for behind-the-scenes clips, previews of upcoming events, and, like Instagram, day-to-day life at the hotel. Partner with influencers – It's common to partner with Influencers on Snapchat. Create content with influencers and use their reach to create leverage for your brand. Geofilters – Geofilters is one of the most useful tools as a brand. They're the little screen decorations you see on snaps, and you can design them for your brand! Learn more here. While social media may be intimidating to some hoteliers, its popularity and value as a free marketing tool is undeniable. 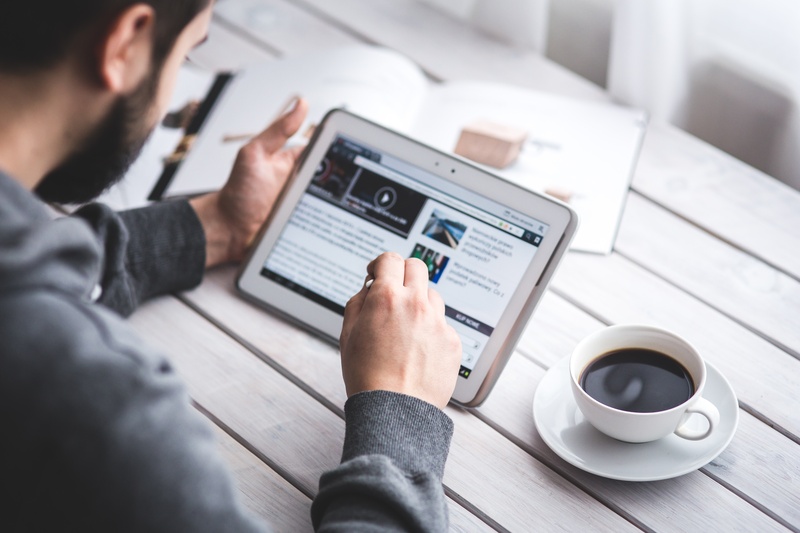 If you take a little time to get to know how these different channels work and to create compelling content for your customers and fans, it can really pay off. And remember, you're playing the long game, so use your social media as ways to develop brand awareness and loyalty, rather than 1:1 conversion. We hope you enjyoed this post. Stay tuned for more tips on social media for hotels in the future!